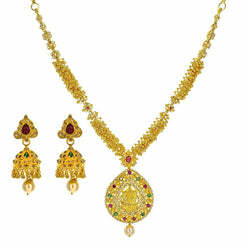 22K Yellow Gold Mangalsutra Chain Necklace W/ Hand Painted Bead Accents for women. 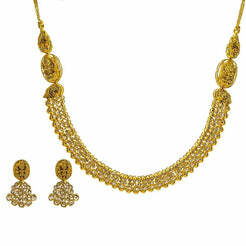 Mangalsutra necklaces features small black beads and handpainted finish beaded balls as well as accents on drop pendant. Gold weight is 14.8 grams. 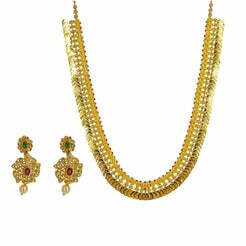 Perfect cultural bridal gift.